Another entrance to another set of caves at the Elephanta! The central recess holds the most famous and remarkable sculpture of this period known as the Mahesh-murti. It is a colossal bust of the three forms of Siva, the aghora, turbulent and fearsome; tatpurusha, benign and meditative and vamadeva, mild pleasing and lovable. 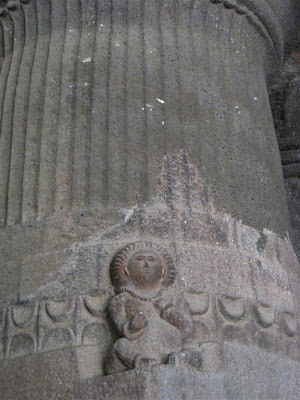 Seems like the image of Buddha carved on one of the pillars. 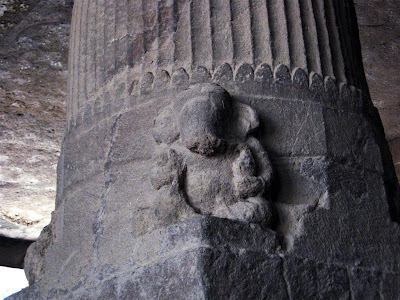 Image of Lord ganesh - the elephant headed God carved on one of the pillars in the Elephanta caves. A close up of the pillars 'holding up' the ceiling of the cave. 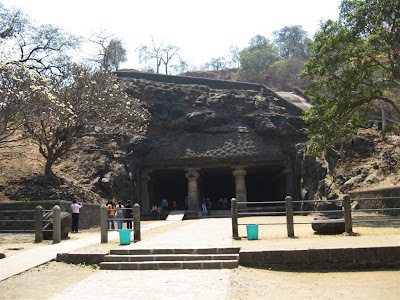 The cave temple is the pride of Elephanta, sprawled over an area of approximately 5000 square metres. 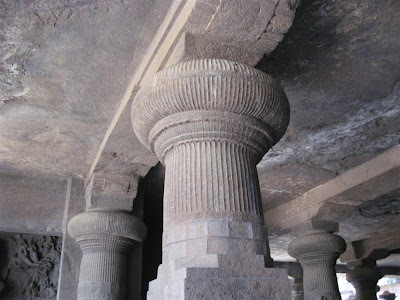 Inside the temple is a large pillared hall with rows of columns that appear to hold up the roof of the cave. More carvings at the entrance to the Elephanta Caves. All these date back to the 6th-7th century A.D. 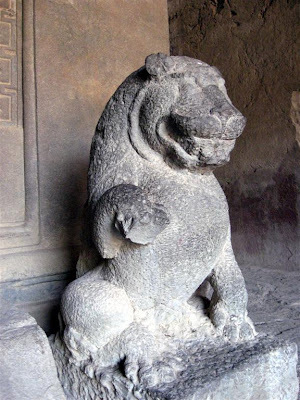 This is the 1st carving that greets one at the entrance to the Elephanta caves. The Elephanta Caves! Once known as Puri - later Gharapuri - this island was the proud capital of a powerful coastal kingdom and the great cave shrine in praise of Shiva, excavated in the sixth century, added to the ruling dynasty. It seems, different dynasties held their sway over this island, namely, the Konkan-Mauryas, Trikutakas, Chalukyas of Badami, Silaharas, Rashtrakutas, Kalyani Chalukyas, Yadavas of Deogiri, Muslim rulers of Ahmedabad and then by the Portuguese. 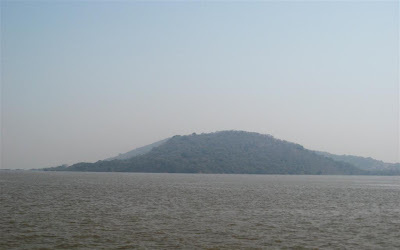 The Marathas also had this island under their control and from them it passed into the control of the British. When the Portugese took possession of the island, they found a monolithic stone elephant at the place where they landed and named this a ilha do elephanta, island of the elephant. Yes! We have reached the top and now we can see the jetty below from where we had started the toytrain ride. Behind us are the famed Elephanta Caves! All the way to the top, you will not get bored, as you will have these shops on either side of the steps selling beautiful souvenirs. Bargain hard and you will pick up some real treasures! If, for whatever reason, you feel you are unable to climb, there are these makeshift palanquins in which you can sit and be carried all the way up for a small price. 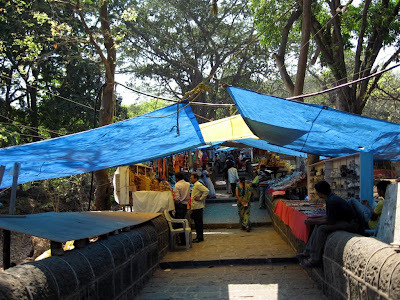 This is the beginning of the gentle climb up to the Elephanta Caves. Because of the shops on either side and their awnings there is shade all along. 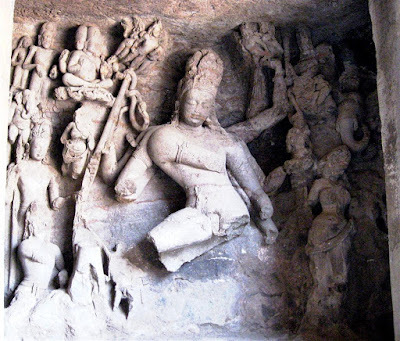 The cave temple, which is the pride of Elephanta, sprawled over an area of approximately 5000 square metres, is reached by climbing a flight of more than 100 steps, to the top of a hill. Inside the temple, is a large pillared hall with rows of columns, that appear to hold up the roof of the cave. 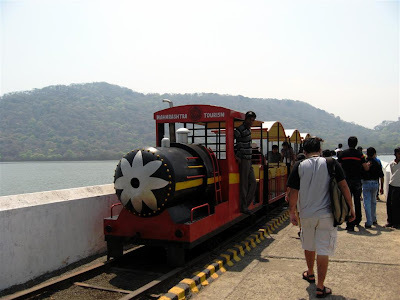 The toy train takes passengers from the jetty to the footsteps of the Elephanta Caves. This journey takes a couple of minutes and costs only Rs.10/- for a return ticket per head. 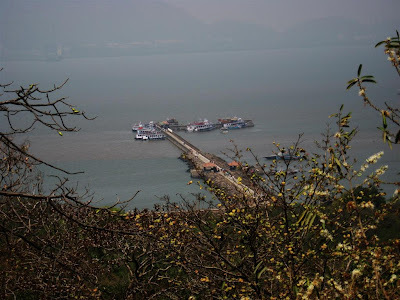 After having reached the pier, to alight from the boat and set foot on land to go to the Elephanta Caves, we had to crossover through another boat.. Hewn out of solid rock, the Elephanta Caves date back to 600 AD. 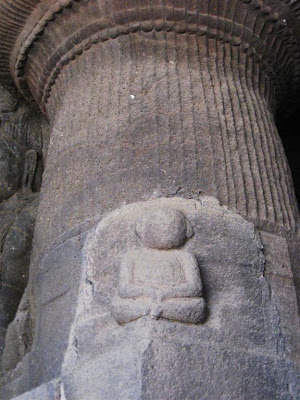 These rockcut temples were created by carving out rock, and creating the columns, the internal spaces and the images. The entire temple is akin to a huge sculpture, through whose corridors and chambers one can walk. The entire complex was created through a process of rock removal. Some of the rock surfaces are highly finished while some are untreated bare rock. 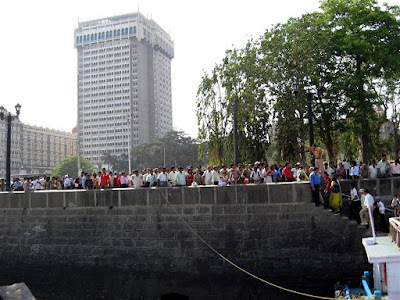 A crowded pier at Elephanta. 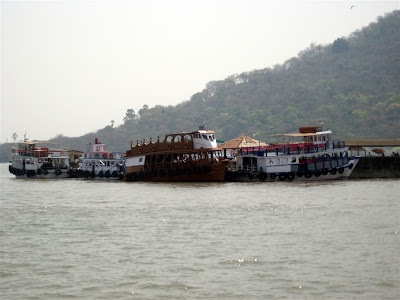 Elephanta Island was known in ancient times as "Gharapuri" or The Place of Caves. The Portuguese took possession of the island and named it Elephanta after the great statue of an elephant which they found on the seashore. At present, the statue of the elephant is housed at Jijamata Garden in Mumbai. 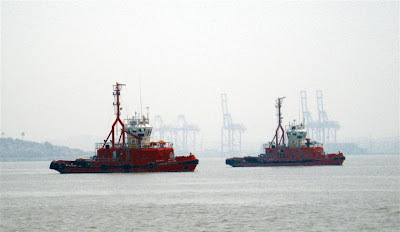 Some more boats off the Mumbai harbour. Elephanta island is nearing now. My next post should be a view of the island from a distance. 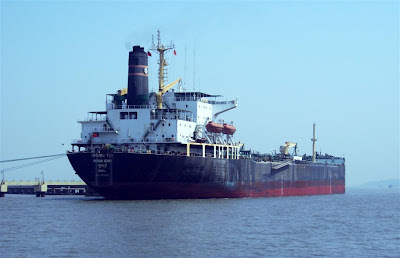 This seems to be an oil tanker. The name is 'Motilal Nehru' and based in Mumbai. 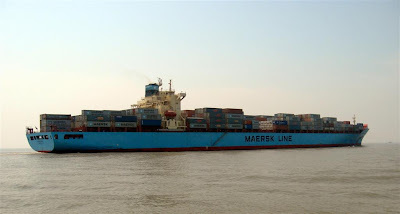 Heres a freighter carrying huge containers of cargo across the Arabian sea off the Mumbai harbour. Spotted this cool looking cruiser(?). Sure is a busy waterway! Barracuda 1 was the name of this beauty. 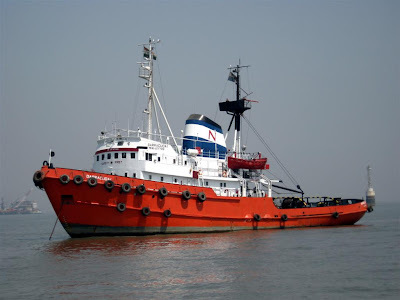 I dont know much about boats and ships but loved the look of the beauty anchored in the Arabian sea off Mumbai. One of the many speedboats that raced past as we motored along gently to the Elephanta caves. Will post all sights that I liked and clicked on the way. :) Hope you enjoy them all the same! 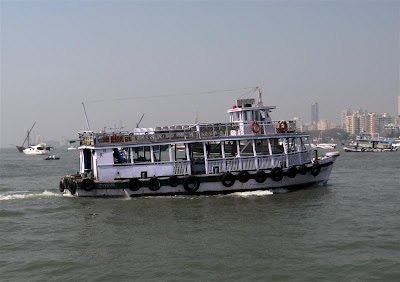 This is the typical boat that is used to ferry people across people between the Gateway of India and the Elephanta caves. 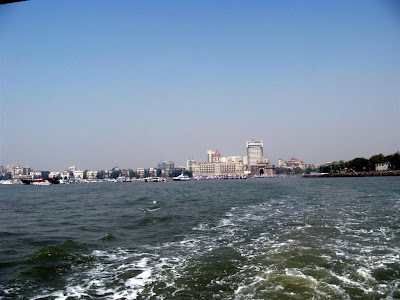 The Elephanta island is located about 13 km away from the Gateway of India at Mumbai. These caves house rock cut temples dating back to the 5th century. Holiday makers and tourists on their way to visit Elephanta caves queue up for their ferry ride. 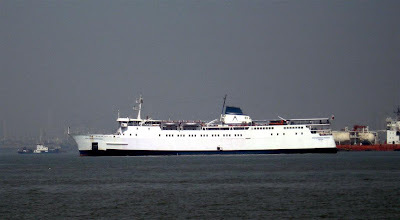 There is a ferry which operates to the Elephanta caves every 30minutes and the ride one way is about an hour. 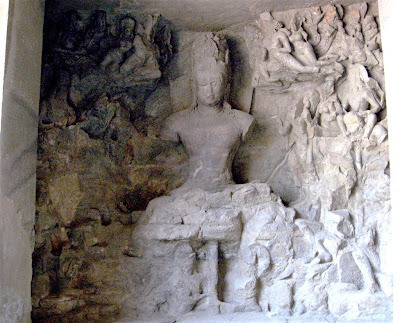 The Elephanta caves is a World heritage site. Will take all of you on this tour shortly. 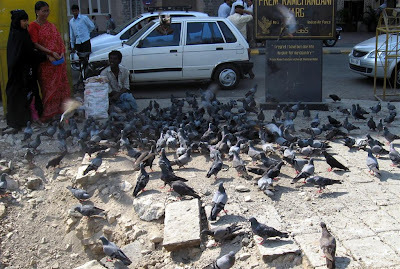 Outside the Gateway of India, this guy sits selling bird feed to passers by who wish to feed the pigeons. Some people do it because their religion demands it and some for the novelty of it and then there are those who do it for the love of birds! The end result is happiness for the birds, feeders and of course the seller! 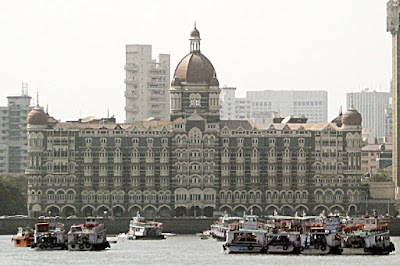 The Taj Palace Hotel in Mumbai opposite the Gateway of India is a landmark and a tourist attraction. Built in 1903, the hotel is an architectural marvel and brings together Moorish, Oriental and Florentine styles. Offering panoramic views of the Arabian Sea and the Gateway of India, the hotel is a gracious landmark of the city of Mumbai, showcasing contemporary Indian influences along with beautiful vaulted alabaster ceilings, onyx columns, graceful archways, hand-woven silk carpets, crystal chandeliers, a magnificent art collection, an eclectic collection of furniture, and a dramatic cantilever stairway. The waters of the Arabian Sea with the Gateway of India and the Taj Hotel in the background - prime representatives of Mumbai - the city in a liquid flux all the time! Have posted this picture as part of the April theme day - Water. 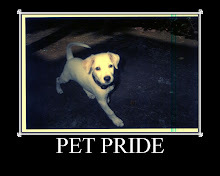 The other participants are listed below. Do check them out.